“ACTA is an international trade agreement currently being negotiated by the European Union, the United States, Japan, Canada, South Korea, Australia as well as a few other countries, whose aim is to enforce copyright and tackle counterfeited goods (hence its acronym: Anti-Counterfeiting Trade Agreement). I found that text in a website dedicated to online gaming, and it was posted just four months ago. It is directed at the demographic that is today out on the streets, and it is also almost completely wrong. This is what really worries me, people are protesting about unfounded fears. Do not get me wrong, ACTA is a wrong-headed agreement, there was a remarkable lack of transparency during its negotiation, and the intention of conflating copyright infringement and counterfeited goods was never going to produce a balanced approach. ACTA is a perfect example of what happens when special interests hijack a country’s trade negotiation infrastructures. However, the negotiation process was not kind to ACTA, and most of its provisions were dropped and/or watered down to the point in which officials have been forced to admit that even if it was approved by the European Parliament tomorrow it would not change existing legislation. Similarly, there are no plans to change any legislation in the US as a response to ACTA. In other words, millions were spent on negotiating a useless agreement. This to me is the real tragedy about ACTA. Ironically, with the situation being like this, some anti-ACTA opponents have also been affected. How do you oppose an agreement that does not have teeth? How do you get people out on the streets? It seems like you continue to hint that the agreement is more than it actually is. During discussions a few months ago, I was shocked by the level of misinformation about what is actually in the final text, and people who should know better were even sure that three-strikes and graduated response regimes were still part of the treaty. Needless to say, they are not. 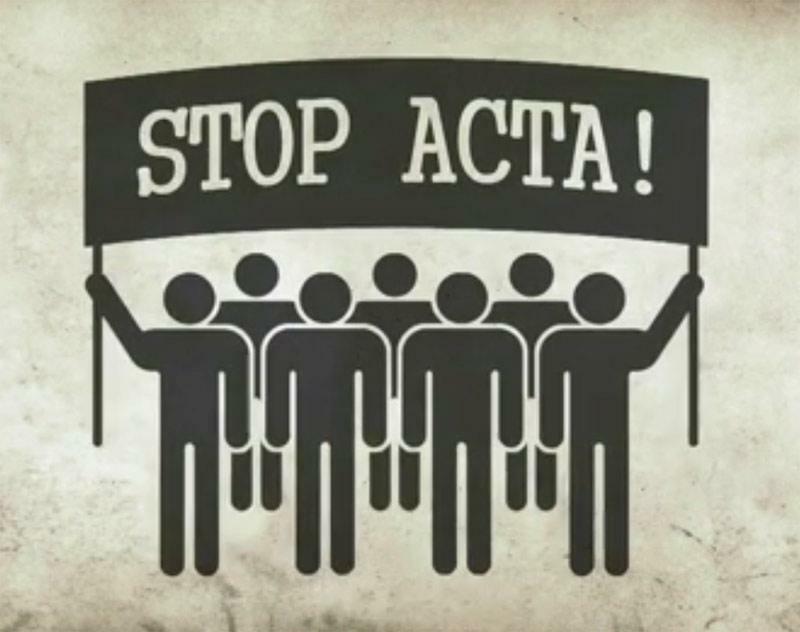 So today I have been reading dozens of posts calling to action against ACTA, yet I was not able to find a single one that actually mentioned anything specific about the text of the treaty. The most read and most widely shared article framed the debate as a question of freedom of speech, yet I am struggling to find any connection between both topics. ACTA deserves to disappear because it is the result of a flawed process which produced a neutered treaty. It does not affect freedom of speech. It does not affect fundamental privacy rights. It does not criminalise generic drugs nor the production of seeds for developing countries. What does it really do? It exports the US system of damages to other countries. It enhances infringement data collection regimes. It might criminalise trademark and copyright infringement at a commercial scale that was previously not covered. It could enhance the protection of technological protection measures. That is it. But do not take my word for it, read the agreement and make up your own mind. I guess that “What do we want? An end to useless agreements that export the American punitive damage system! When do we want it? Now!” is not a very catchy protest chant.